Angelic act! 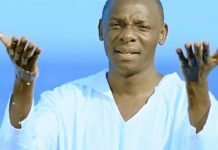 Stranger clears poor UCU girl’s tuition for all her remaining semesters at university –to a tune of 7.5 million! A young lady who has been very close to dropping out of university due to tuition problems still can’t believe her luck, after a stranger who prefers to remain anonymous knocked on her door today morning and presented her with a bank-slip indicating that all her tuition for her remaining three semesters is cleared! All-joy! Justin Nanyanzi beams the smile of the truly elated. 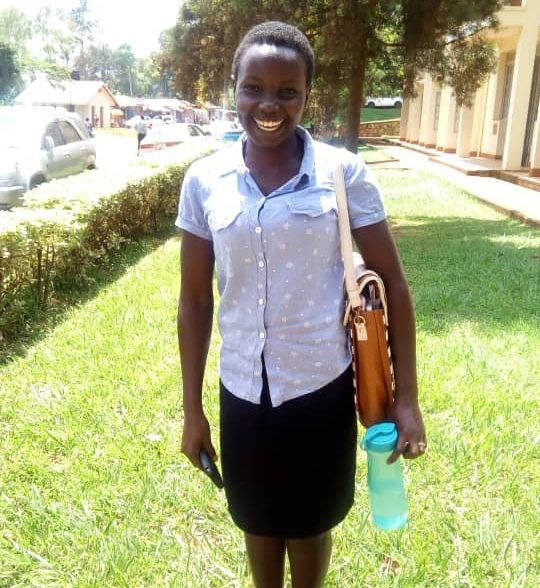 Justine Nanyanzi’s life at Uganda Christian University Mukono (UCU) has been akin to trying to cross the widest point of River Nile by walking over on a rope. 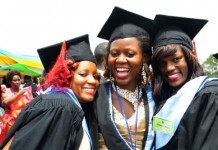 Since the second semester of her First Year, when the business that employed her near the university folded, the Second Year student has scraped by courtesy of washing clothes for fellow students around the university in her free time, typing for them courseworks, and soliciting contributions (grants) from fellow students. Her father is a poor countryside man who because of inability to help in anyway has always simply told her to find a way around. 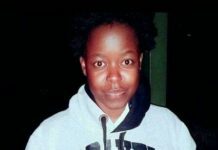 But things have been becoming increasingly hard, with a diminishing number of students giving her clothes to wash and an even more diminishing number contributing to her every-semester tuition campaigns. 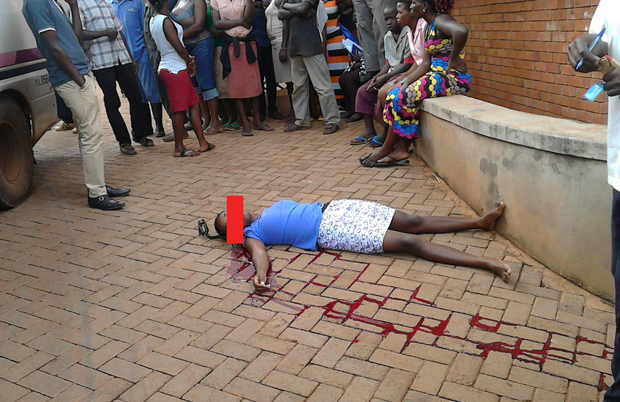 Not so long ago she was even considering suicide. The piece of paper that means an unspeakable lot to Justin Nanyanzi. Until someone earlier this week got her to carry her tuition-seeking campaign online through the hashtag #Tuition4Justine. 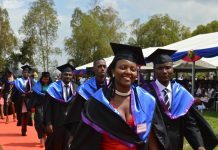 While over most of the week the campaign crawled on without yielding the kind of results that might have encouraged Justin, today morning the Second-year student of Bachelor of Procurement and Logistics Management (BPLM) got her entire tuition quandary solved in one fantasy-stuff incident. 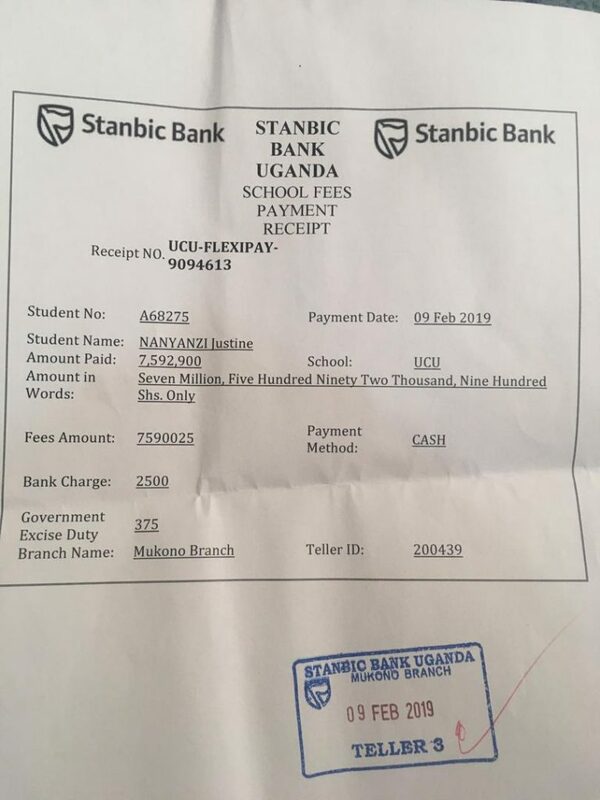 The Stanbic bank slip has a cash payment of the entire Ushs7,592,000 that Nanyanzi is supposed to pay in total for her remaining three semesters. 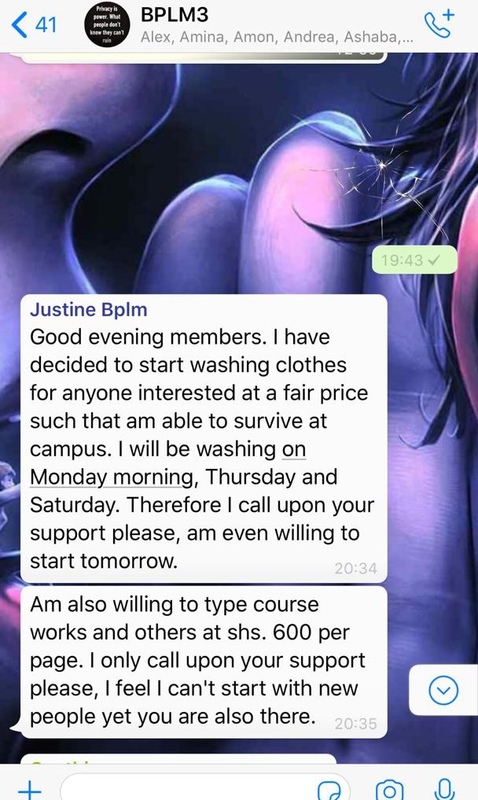 Justin’s Whatsapp post announcing her new avenue of hunting for tuition shortly after her former employer crashed out of business. 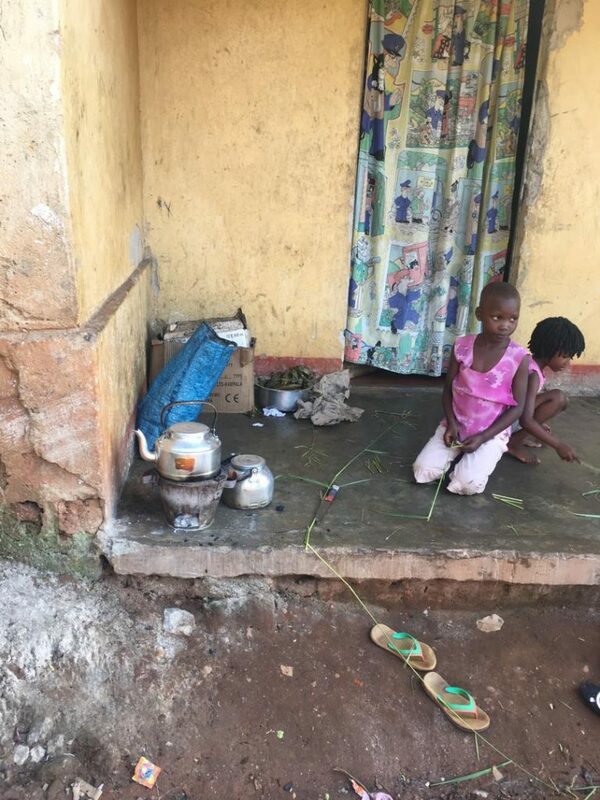 Nanyanzi’s present abode, which another Good Samaritan should do well to rescue her from.